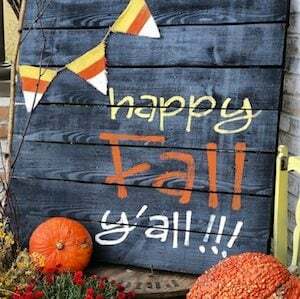 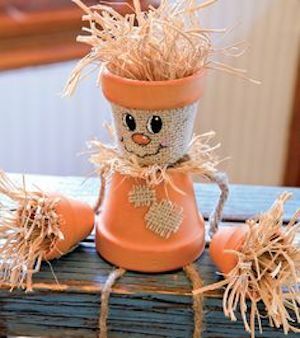 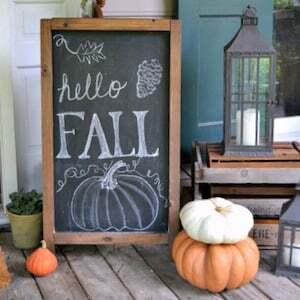 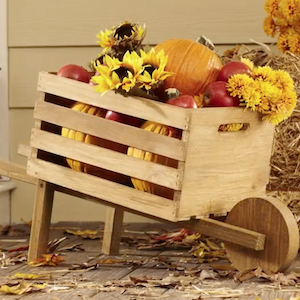 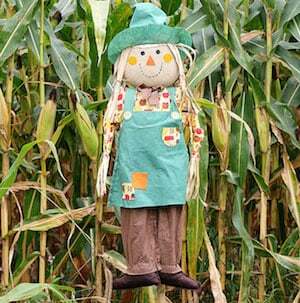 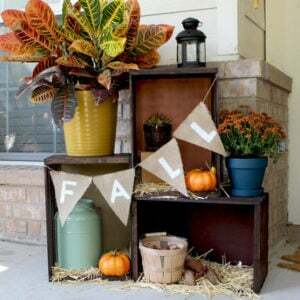 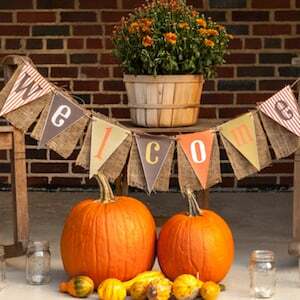 Get your yard ready for Fall with these cheap and easy outdoor fall decor ideas. 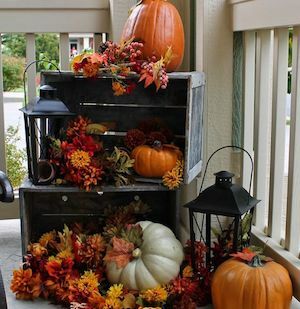 Whether it’s a yard, garden, or porch display, you’re sure to find beautiful fall inspiration for your home here. 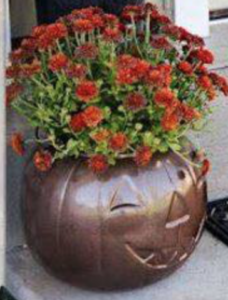 Don’t forget to poke holes in the bottom so you can water your flowers. 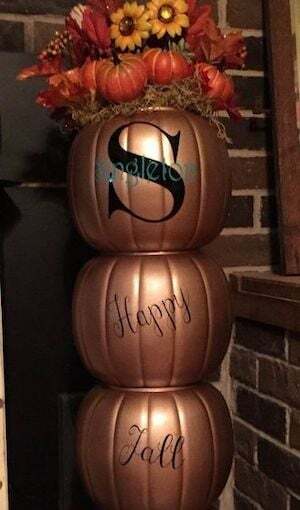 You can get the burlap and raffia at Dollar Tree and the paint and letters at Walmart for a good price. 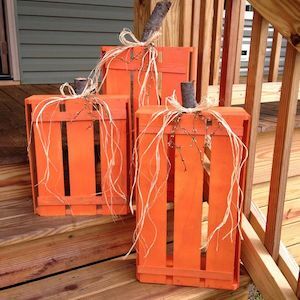 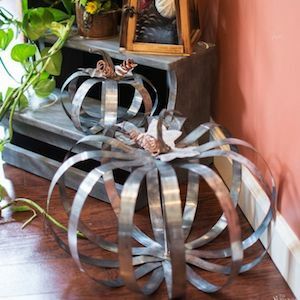 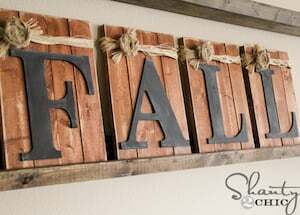 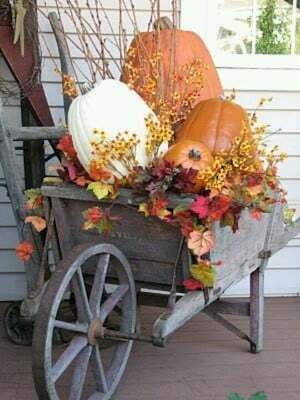 If you happen to have an extra wagon wheel lying around, then this would be a cheap idea that would give your fall decor a rustic touch. 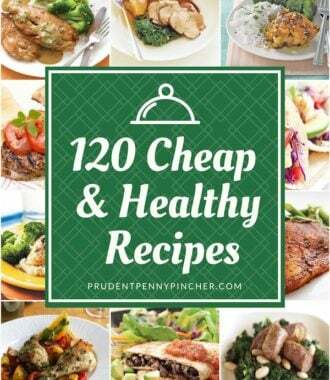 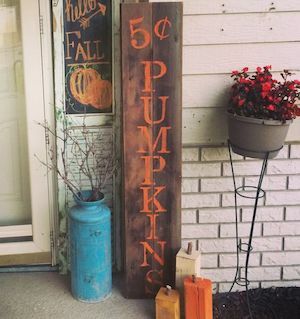 You may be able to find one for free on Craigslist or cheap at a used home improvement store. 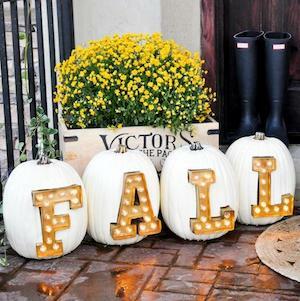 You can save.a lot of money if you make the marquee lights instead of buy them. 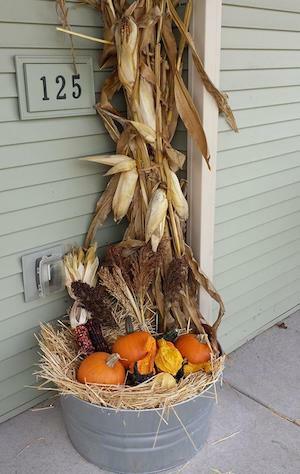 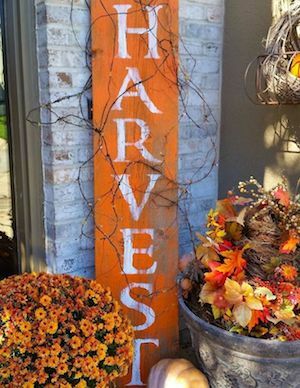 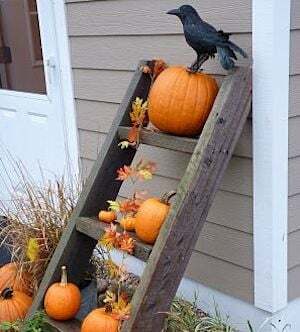 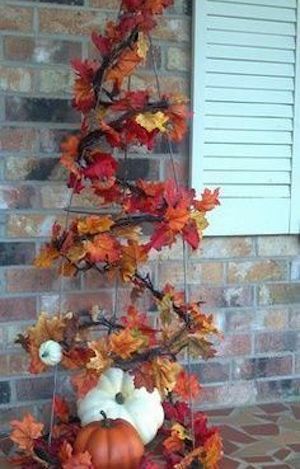 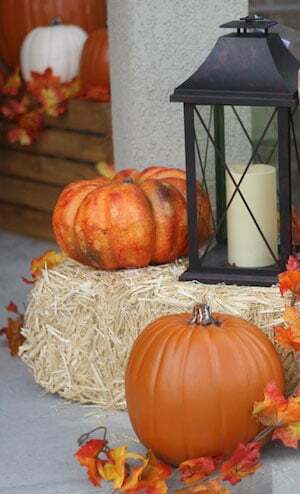 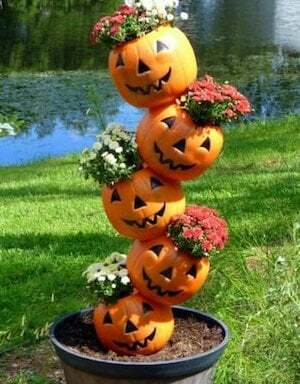 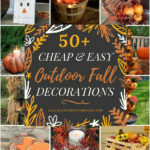 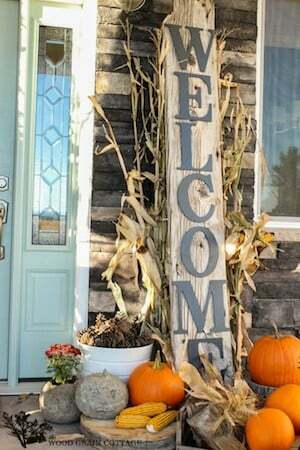 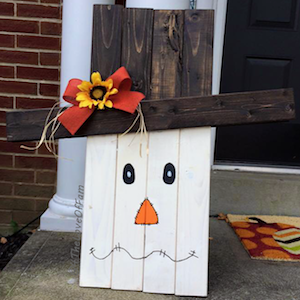 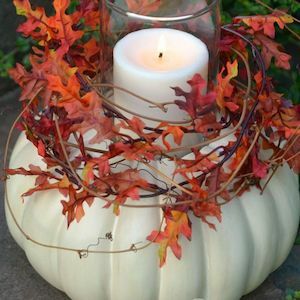 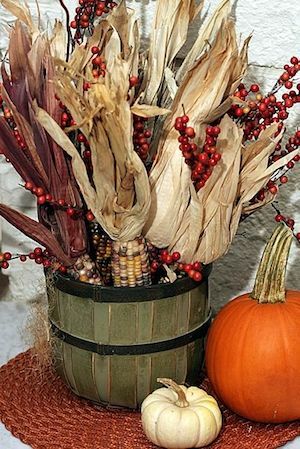 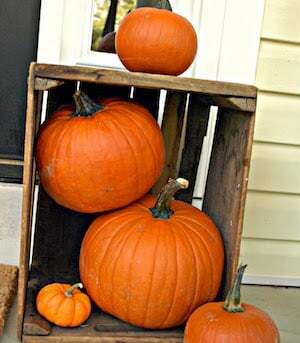 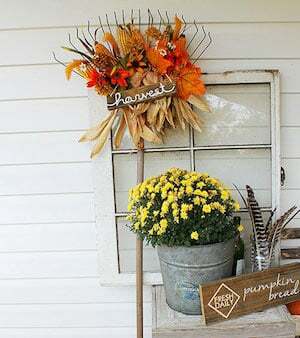 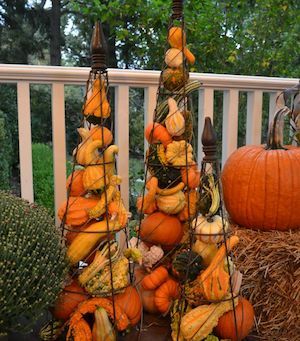 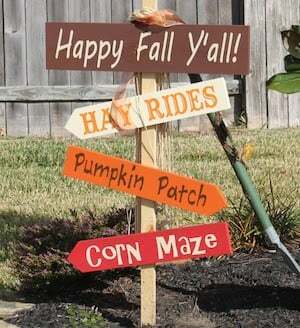 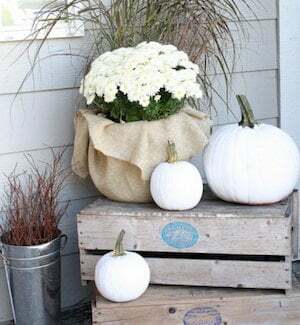 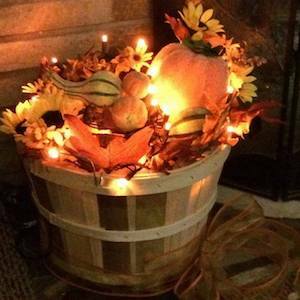 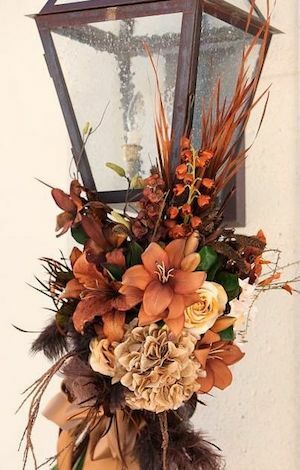 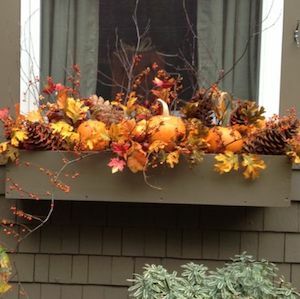 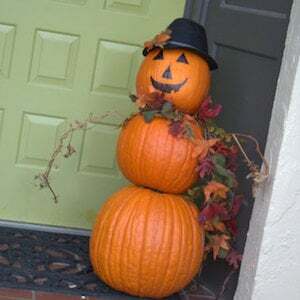 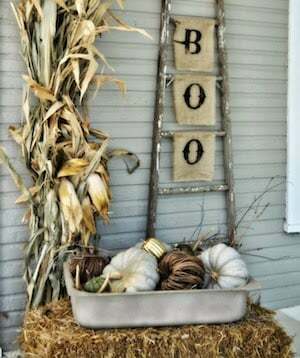 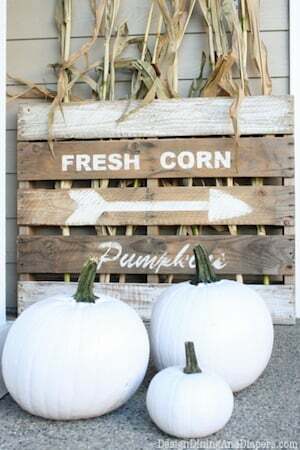 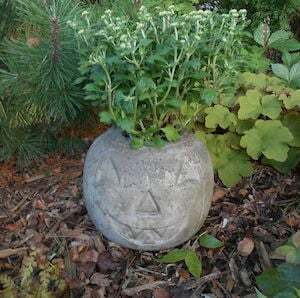 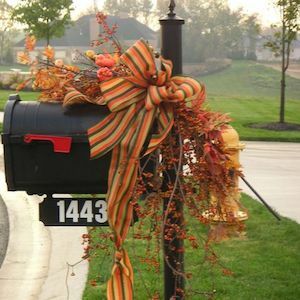 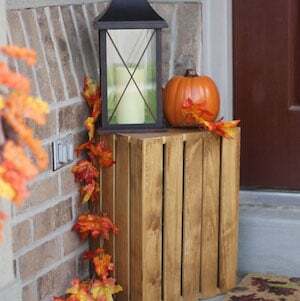 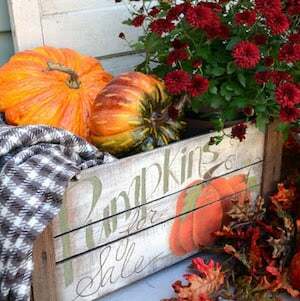 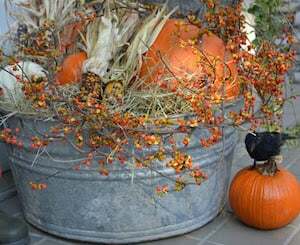 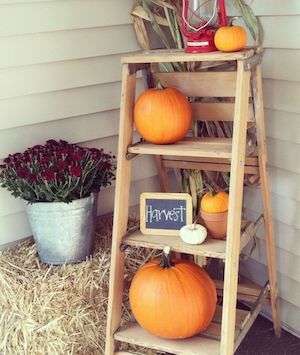 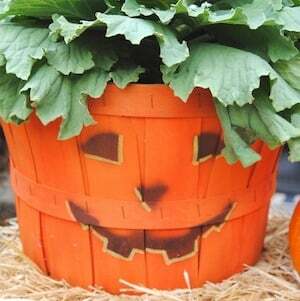 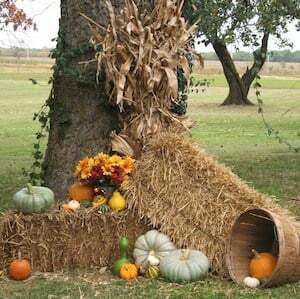 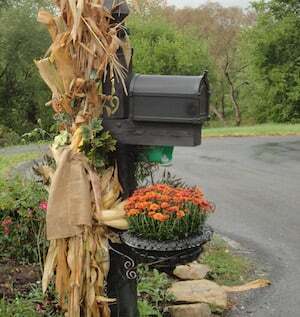 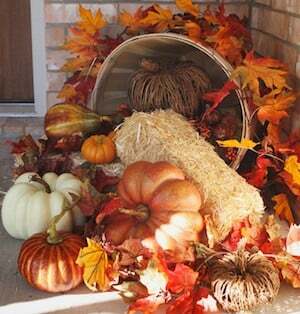 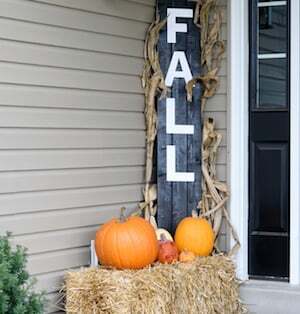 I love it when people share tips and ideas, thanks for sharing these outdoor fall decorations. 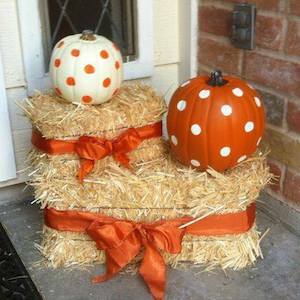 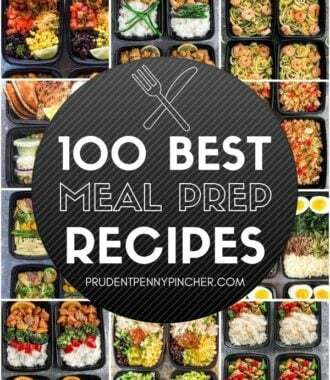 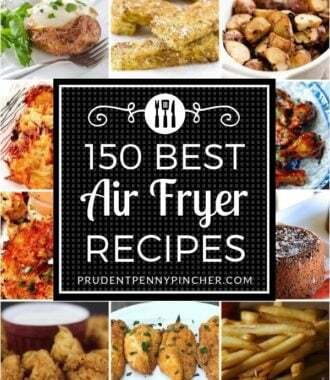 These look so much adorable. 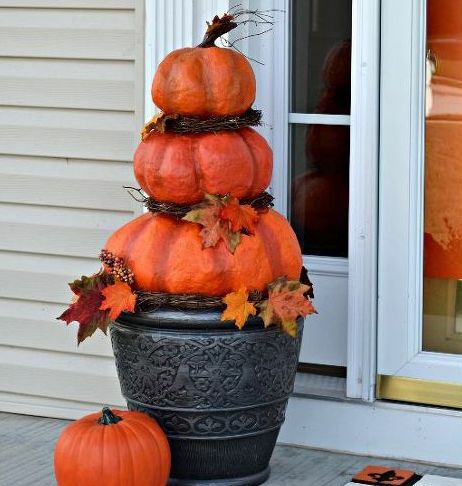 You’ve got some great tips for decorating here. 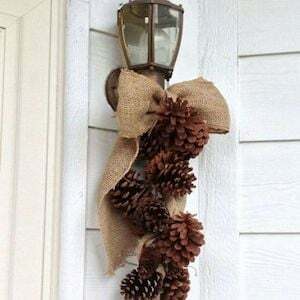 With Fall and Christmas just around the corner, I want to decorate our house with some new things. 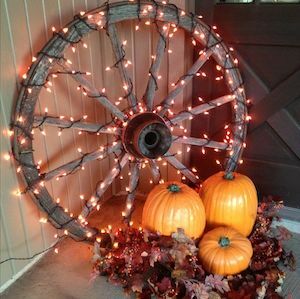 Going with a full wagon wheel with lights around it is great! 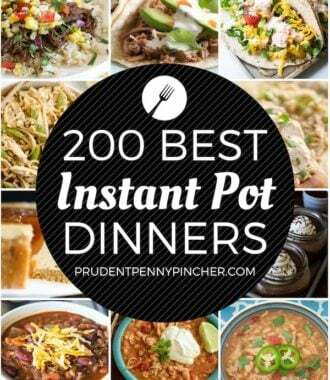 I’ll have to look for one of those.